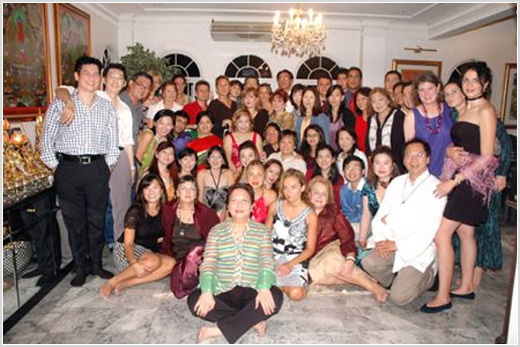 It was a happening September month at WOFS.com when 48 participants from a diversity of backgrounds came to Malaysia to participate in Lillian Too’s Master Practitioners Course in Feng Shui. The student intake this time around comprised feng shui enthusiasts from Australia, England, France, India, Indonesia, Japan, Mauritius, Malaysia, Philippines, Singapore, Spain, Sri Lanka, U.A.E, USA and Vietnam. 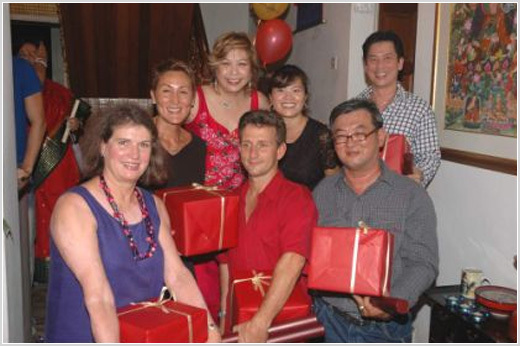 It was a rich multi-cultural group indeed but all had a similar objective – to empower themselves with a solid grounding in Feng Shui Knowledge! Lillian Too’s Master Practitioners Course (MPC) is a very well designed program designed to accommodate students from a diversity of levels. The week long program covers a variety of Feng Shui methods, and Lillian Too teaches her syllabus in a user-friendly way. 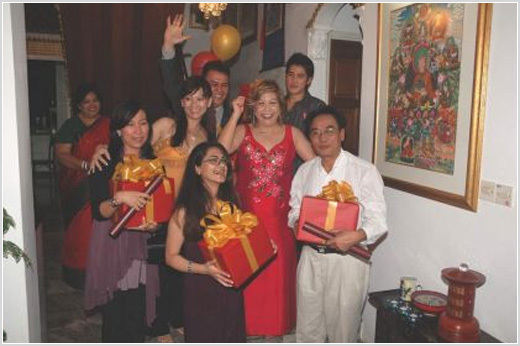 The program is designed to encourage maximum comprehension of feng shui fundamentals. It is intensive but also invigorating. There is never a dull moment in the class which Lillian teaches herself. The MPC course also introduces Malaysia to Lillian’s foreign students. 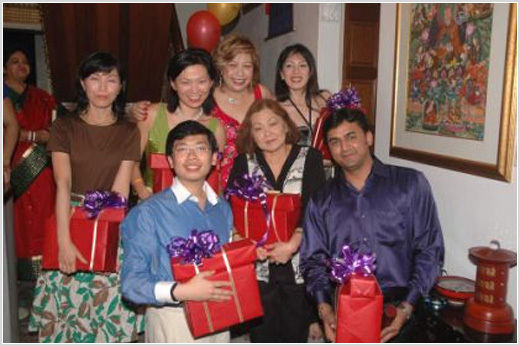 Many love Kuala Lumpur so much they are determined to return for a repeat visit especially to pursue the Master Consultants Course in Advance Feng Shui (MCC) OR the Master Class in Paht Chee, two popular follow up courses also conducted by Lillian. The MPC was an eye opener for participants, especially beginners meeting with Lillian Too for the first time. Many discovered Lillian teaches with a panache and a style that effectively combines intensive knowledge with plenty of laughter. Her great sense of humor had the class in stitches so there is plenty of good energy and lots of cheerfulness during the 6 days of classes. These were held at the wofs classroom. Lillian teaches daily with power point notes and participants are given handout notes each day. There are is a coffee break and a tea break when yummy cakes and refreshments are served. The first day focused on the Evolution of Feng Shui and the different physical afflictions and poison arrows are addressed under the Landscape school of feng shui. The course concentrates on Feng Shui cures and remedies. There is an afternoon site visit to Mid valley Mega mall WOFS boutique where participants are taught to identify a variety of Feng Shui cures, remedies and enhancers with LT explaining the symbolic and feng shui significance of a broad range of products. This visit is usually imbued with enthusiasm among participants as they feverishly take notes since there really is no single book which covers the huge range of products and their significance. Said one of the students - a beginner to Feng Shui, "I never realized each of the Feng Shui products had so much meaning and can have such marvelous impact on our lives daily when placed correctly, thanks to Lillian’s detail explanations." As the week progressed, Lillian’s lectures become increasingly more comprehensive and more advanced . Soon students are happily applying the different feng shui formulas including the Pa Kua 8 Aspirations, the 8 Mansions Trigram Houses, Kua Numbers, capturing the bags of gold, understanding the effect of numbers and directions on feng shui and the relationships with the five elements and the yin yang concepts. Probably the most interesting session was learning how to maximize the usage of the Feng shui Luo Pan. Participants learn that the Luo Pan is like an old style portable Feng Shui computer which enables practitioners to conveniently and anytime measure the Feng Shui of a property, building, houses, exterior and interior landscape, finding wealth corners and reading the auspicious and inauspicious chi in the environment. This popular time formula of feng shui is also included in the MPC and by the time the class reaches this part of the syllabus participants are already familiar with the basics of flying star formula. Students usually find it very interesting formula to learn to fly the stars, generates the charts, understand the meanings of numbers, combinations and orientations. Lillian’s frequent repeats and sensitive teaching style helps everyone understand flying star so well that by the time they graduate most already have a working knowledge of the formula. The MPC is a stand alone program as Lillian Too does not design the program around modules. Practical case studies using house plans and site visits are very much a part of the program. On Day 4 this time around, some students asked Lillian how Wealth Vases could be made. Without hesitation, and for the first time ever, Lillian arranged for all the students to create their own Wealth Vase. The session took 2 hours and Lillian even managed to arrange to invite two Venerables – a monk and a nun to consecrate and bless the completed Wealth Vases. "It was an unforgettable experience for us, as well as an add-up bonus for this course!" said many of the students. 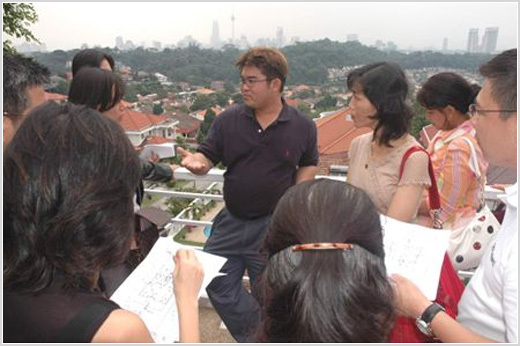 On Day 5 participants went on two site visits led by Feng shui architect Chris Yeo who is also Lillian Too’s son in law. Students were pleasantly surprised by Chris’s depth of knowledge as he pulled out his luo pan and discussed the practical difficulties of determining the facing direction of houses. It was hands on feng shui all the way in this practical session. Later students were divided into groups of 6 persons each to participate in the examination case study. For this they were taken to a recently purchased house awaiting renovation to Period 8. Students were required to design the feng shui of this house and make important recommendations as part of their case study assignment. The three best reports submitted would win valuable prizes during the graduation dinner. The Universe is so good for granting my wish thought balloon flying which I learned from one of your books. This wish which I did during 2005 Chinese New Year goes like this, "I wish I could attend the MPC and meet Lillian Too in person." I never thought this ritual is so POWERFUL!!! Learning from your book has already made my life different and colorful! Learning from MPC and be with you in person is HEAVENLY! Lillian, thank you for your wisdom and inspiration! I draw all the motivation and inspiration from you that is why I develop and creative wonderful designs for my novelty items! I wish you good health and long life! A week is just too short! By now at least I am quite confident in reading the chart. Lillian it just too fabulous, she makes Feng Shui so simple to understand. Best of luck to Lillian! Thank you very much for inviting us to your marvelous house again! Claire and I have enjoyed the course tremendously and we’re certainly benefited from your heart advices as well. We look forward to attending more courses in the future so that we too could be qualified enough to help benefit other people with good Feng Shui advices. It is indeed a privilege to be in your MPC class. I enjoyed the 6 days training - very informative and you are a very energetic speaker! I will treasure all the experience, the "frustrations" (when I couldn’t fully understand the topic) but after reading your books I felt a lot BETTER! More blessings to you and your family! Thank you for everything! Wow... what can I say? You're such a wonderful person. You inspired me so much from the very first day of the class. It is such a wonderful class. Thank you sooo much. You are such a humble person, who inspired me to pray to the Buddha, because although I am a Buddhist person for the whole of my life, but I seldom pray, but now I will pray everyday! Thank you again. I will come back to the MCC, until then I will always miss you! I am so glad to join your course, that is inspiring me a lot of Feng Shui secrets and useful according to my architect profession. Don’t forget to come to my house if you have a trip to Jakarta.